Since tomorrow is December 1st, I'd like to start off the holiday season with a giveaway. 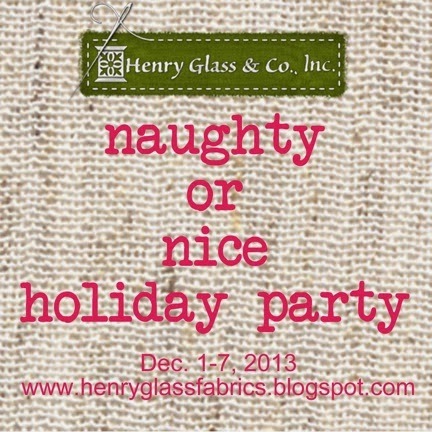 So please join me for this holiday celebration. On Dec. 8th I'm going to give away 2 Tour des Jardin kits. This is my latest BOM created from my new fabric line, Tour des Fleurs, from Henry Glass. There are two colorways - red or blue. Just write a comment any day between now and Dec. 7th and I'll choose 2 winners on Dec. 8th. Tell me what you love about the holidays or anything else you'd like to share. Maybe you'd like to comment on this picture of me from Christmas 1951 .... hard to believe they had cameras that long ago. My Christmas present was this adorable Hop-a-long Cassidy cowgirl outfit and cardboard horse. You could climb inside the horse and ride all around. Of course, you have to understand this is in Los Angeles so there isn't snow. It was a lot easier to ride a horse without snow. Love the horse. Very cute and fun present. Love the outfit and the horse! I have never seen the cardboard horse before! Thanks for the great give away, too! I love everything about Christmas. Probably the highlight is living close enough to family to share so many traditions together: baking, decorating, and yes, even gift shopping! Thanks for the chance to win! I love that picture. What a nice Christmas gift. I was only one at that time but I can see how that gift goes with the times. So much has changed and it seems all kids now are so into electronics that they would laugh at such a cute gift. Love the fabric and the pattern! Red my favorite :) I wish people could do this all year and I'm sure there are a few but I love the fact that at this time of year people like to pay it forward. If you've never heard this before here is what happened to me - I went to Starbucks drive thru on black friday and when I got to the window I went to pay for my order and the person in the car in front of me. (who I didn't know) did an act of kindness and paid for my order. It was an amazing feeling with such a small gesture. I then "paid it forward" to the couple in the car behind me. I talked to my kids at lunch yesterday and told them to make it their goal to do one nice thing each day. Help someone with their groceries, pick up something for someone that drops something, just an "act of kindness". Thanks for an opportunity to win your act of kindness. :) Happy Holidays to all. My favorite holiday tradition is family baking day. We get together and spend the day creating cookies, cakes, candies and pies. Such fun. The house smells so wonderful afterwards. Love your picture. I remember a cowgirl outfit from a long ago Christmas. Mine was blue. I love your Hop Along Cassidy outfit and horse. I love the holidays because the entire family gets together. The family has grown to include 2 sons in law and now 2 grandchildren. Always fun times. Do love the cowgirl outfit. Hop-a-Long Cassidy was one of my favorite TV shows as a kid. One can certainly see how a little girl would love that costume and she even gets a friendly horse to ride. I love the house and tree lights over the holidays. Sitting by the fire with only the tree lit is the best. I love the pic of you on your horse - I've never seen such a thing,what fun! The best thing about Christmas for me is having all my family home!! I think my favorite thing about the holidays is the scents--cinnamon and pine! I always wanted to be a cowgirl too. That horse was a pretty cool gift, but probably would have to be an indoor toy in Minnesota! Hop-a-long Cassidy...WOW!!! brings back many happy memories! Love the picture! and the giveaway! What a fun post and beautiful fabric too! Of course I'm partial to the red bundle as it would work in my home anytime, but also perfect for the holidays. Cute picture of you and your Cowgirl outfit. Hard to say which is my most favorite memory of Christmas, but I think it was generally a sense of all the colors, decorations and smells combined with time to visit with family and friends. Truly a special time of year. The best part of the holidays is making stuff and then sharing it with family. So I guess the best part is family, or the making part just wouldn't be fun! Thank you for this opportunity to share and win! I love your picture! I had the same outfit but we were poor--no horse for me. Good memories. What a great photo and memory of fun times for you! thank you for the lovley giveaway! I love the older black and white photos! I really enjoy looking through older pictures. Makes me wonder what people from the next generation will do without famil photos. They are all on their computers! Cute picture! I love the red quilt! I love baking Christmas cookies. It's just such a fun thing to do, and time to share with family. We had a big family celebration for Thanksgiving as that's when the most people could attend. It was a whirlwind of activity and fun! That's the best part of the holidays for me -- family get-togethers. Love your old photo -- what a great memory! First of all, congrats on your latest BOM and fabric line. That must be exciting for you! Hmm, what I like about the holidays is Christmas Eve get-together with all the kids. The traditions is going out to dinner and watching a movie and then we come home and open presents. So, do you light up the Palm trees in sunny CA? Snow or no snow, surely there is still a beautiful lit tree, yes? Thanks! Ooooh, such fun! My favorite thing about the holidays is the music. Love, love, love Christmas music! How much enjoyment you would have had from such a wonderful gift. Merry Christmas Mary Jane. I pray you enjoy every part of this season.Thank you for the chance to win `Tours de Fleurs `BOM. I love working on these. My colour way is red. I love Christmas time spending this with family and friends. I stitch ornaments for them plus bake our favourite slices eg `Traffic Lights`. My youngest daughter would have loved `Hop a long Cassidy ` horse and really enjoyed her rides around the lawn as it is Summer here in December. You do look so cute. Happy Stitching,Clare. I love the photo of you with your horsey! I was born in '52, so you're only a bit ahead of me. The style of photo looks so much like ones I have. I'll look forward to seeing more pictures. I love having our kids home for a bit and enjoying time together. You look so cute on your little pony! :-) Thanks for the fun! I love all the family activities, sitting with just the Christmas tree lights on. I love the soft glow of Christmas tree lights. I love getting together with family over the holidays. Even though my children can't all be together Christmas day we do get together sometime during the holidays. HELLO, YOU ARE A PRETTY CUTE, LITTLE COWGIRL! I love being with family for the holidays. I love playing games together and eating and laughing. Thanks for the giveaway! Merry Christmas! Your Hop-a-long Cassidy outfit looks familiar .... I think we must be similar in age. Isn't it wonderful to have these photos and be able to reminisce! My favorite part of the holidays is pulling out old decorations and ornaments and feelings years of memories surround me. Love the cowgirl outfit. I grew up in the northeast where there was lots of snow, so I had a indoor rocking horse. that picture of you is adorable. I've never seen a cardboard horse before. I have seen one on a broomstick. :0) Merry Christmas! thanks for the giveaway. I love getting together with our Daughters and their families.We now have 6 grandkids and it is absolutely great to see their happy faces on Christmas. Many of my Christmas trims are hand made by relatives and friends who are no longer with us, so as I unpack my boxes each year, its a time to reflect on those dear ones and how they influenced my life. I enjoy being with my husband, children, and grandchildren during the holidays. We have been putting together aChristmas puzzle every year for the last 24 years. I'm amazed that we haven't lost any of the pieces. Your picture is cute, I've never seen a cardboard horse before. Thanks for the giveaway. I love decorating for Christmas and I love baking and just being with the family! I love the pictures from the 50s, takes me back to some special Christmas memories. I actually remember when a neighbor got a color TV. I LOVE the picture of you and your cardboard horse!!! it's amazing that we were happy with such simple things when we were little!! I love your quilt kit: I've been wanting to do a house quilt and this one is just lovely: I like the blue one!! Have a great holiday!! There is something quite nostalgic about black and white photos! Adorable! I love being with the grandkids for Christmas. To me, the commercial side of the holiday is all about kids... and for us adults, it is the religious side. One of my favorite things to do is to make and decorate sugar cookies! I love to remember the reason that we celebrate Christmas - the birth of Jesus Christ. I love your picture! It's funny but my best part of Christmas is all the decorations in the stores and on the houses. I try my best but will admit I don't have the gene for it. The horse is adorable...but the rider is the most adorable!! lol I looooved Hop-a-Long Cassidy when I was lil' Kiddo too!! What a special Heart Memory you have!!! It's all about spending time with my family especially granddaughters for the holidays. baking, wrapping and that trip to whisper in Santa's ear! Thanks for the very generous giveaway. As a child of the 50's too I remember those simpler gifts, my favorite Betsy Wetsy Doll and carriage especially. Cute picture! I love the holidays as it is a time when family and friends get together. Life gets so busy through the year, be we always make time at the holidays. Thanks for the giveaway! I have the best memories of Christmas Eve over at Grama's - it was magic. My Favorite Thing For Christmas Is Time Spent With Family And Friends A Very Close Second Is Making Items For Family. Every year on Christmas Eve, I would get a Venus Paradise Coloring Set. And, all of my cousins, brother and sister would sit around and color pictures. Now you have to understand, they are all around 10 years older them me. I could not understand why they would want to color (they were "adults" to me). These are great memories and we still joke about them coloring. It is a fun tradition that my parents created for us. Love the picture, I also had a cowgirl outfit and would wear it constantly. I remember playing cowboy and Indians with my brother. A much simpler time but so much fun. I have an aluminium pom pom Christmas tree with the original decorations and color wheel that my mother had. Thanks for the chance at one of your great kits, love the red but then again that's my favorite color. I love your photo. 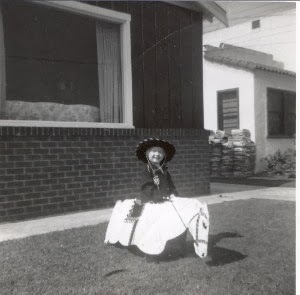 I have an old photograph of me as a girl of 3 or 4 years old, wearing a cowgirl hat and holster and pistol. I didn't have the horse, though! Thanks for the walk down memory lane and thanks for the giveaway! Cute! Love Christmas and all the family times. Love your picture! Those were the days when we had to use our imaginations along with our toys to play...love it! This brings back memories of when my 2 brothers and I received cowboy outfits for Christmas. I was not allowed to play cowboys with them because I would not stay dead when they shot me with the cowboy guns! The picture of you on the horse takes me down memory lane. There's one of me quite similar from the 50's. Hadn't thought about it in years, and have no idea where it ever ended up!! Great give-away. Thanks for the opportunity to enter and thanks to Henry Glass for the heads up! Love old pictures like these. My daughter was just asking to go through the old pictures of her & her 4 brothers growing up, so they can do some re-creation pictures. Can't wait to see them. I love Christmas Eve midnight church service the best. It is my favorite! What a wonderful gift you got! My favorite thing about the holidays is being to be able to relax and visit with family and friends. Thanks. I LOVE Christmas time best of all. I LOVE the DECORATIONS, the EXCITEMENT, and the FAMILY TIME. Hi Mary Jane...I was born in 1950...sEw long ago, how picture taking has changed since then...now you can take pictures with your phone, who would have thought that would ever happen. Christmas is a time when I get to see family that I don't get to see very often...I've moved a lot...I miss my husband's family, we don't get to see them very often, back in the 70's, 80's and 90's we always got together, now we are spread out across Canada and even in the USA. I love the good old days...singing Christmas carols around the piano. Great memories!! Great picture! My favourite part of Christmas is the turkey! I just like getting together with family and I like seeing all the Christmas lights, thanks for the giveaway. I'd love a pattern for the cardboard horse! Reminds me of the pictures of me as a kid. All black and white. Color came along when I was a little older. I love looking at the old black and white photos, brings back a lot of memories. Now we are making memories with 6 grandkids ages 7 mo to 7 years. 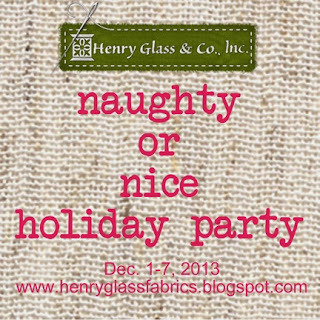 Getting into holiday spirit with all these quilty inspirations is wonderful - thank you for a great giveaway! My favorite thing about Christmas is spending the time with family. Your cowgirl outfit brings back memories of two schoolmates that had the same cowgirl outfit just in different colors. One was red and black the other was blue and black and I wanted one of those outfits. I never did get one but it is still a good memory whenever I think of those outfits. I adore that picture of you in that cardboard horse...what a wonderful idea! My favorite thing about Christmas is the lights and the music. Having the kids all come home is the best. The horse bring back so many memories! Thanks for sharing. And thanks for the awesome giveaway! I love spending time with my three-year-old granddaughter during holidays. I love your child photo in the horse. It's too cute! Aren't you glad someone took your photo and saved it? My Mom had so many photos of me and my siblings that she gave each of us a photo album of our child photos organized by year. It was the best gift ever. We no longer host Christmas at our home but rather we go to my oldest son's and it is wonderful. I do miss the hubbabaloo of getting ready but it is nice not to be so tired. And to be with the grandson makes it even better. 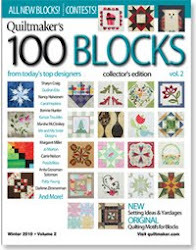 Thanks for a chance to win your gorgeous quilt kit. What a cute Hop A Long you were, I had something similar to your but my marvelously talented mom made mine. Your pattern is great. I'm just getting started with my holiday decorating. I think Christmas is such a pretty time of the year due to all the decorations. It helps the landscape not be so bare after fall. I love the small child that still "believes", the wonder and excitement on Christmas morning from that child is worth more than any gift I could receive. I love the picture. When I look back at some of me when I was young, I just have to shake my head and giggle. If I look back to my kids , I think how cute they were. My favorite thing about Christmas is the tree. Love just looking at it in the dark with a glass of wine and thinking back. I like spending time with extended family. It looks like your 'horse' made your day. Brought a smile to my face. Thanks for sharing and for a chance at your giveaway. I love your outfit and the horse. That looks like good old fashion fun! I love spending time with my children and grandchildren. Thanks for the giveaway. I like your picture! My family has this same photo from late 60 s or so with us and cousins in cowboy hats and real ponies! It takes me back, thanks for the memories reminder! 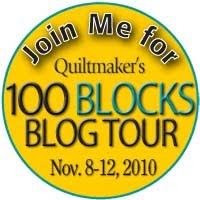 I would love, love, love one of your quilts! So many things to love about the holiday season: lights, excitement, anticipation, foods... Most of all though is the celebration of the birth of Jesus. I love family and the decorations! Memories - I love the ones I have and the ones we'll be making during the holidays! love the red colorway quilt ... thanx for the chance to win it. love your cowgirl picture ... back in the forties, we had broomstick horses, cap guns and real lariats, lots of bruises and rope burns! Just enjoying the family. Food and family go hand in hand around the Holidays. I love having my whole family sit down to the dinner table and enjoy a meal together... I love my family! I love that picture of you as a cowgirl with her pony! My favorite thing about the holidays is getting together with family and friends to cook, share food & wine and play games. Such a great thing to do in the darkest time of winter! I love spending time with my family for the holidays. Decorating for Christmas is so fun and I love to keep them up as long as I can. I just haven't had the chance to get started yet this year. Your picture as a cowgirl is great! I love getting together with all the family, cousins, aunts, uncles. I love being around my Grandkids during the holidays and taking them to see the Christmas lights! You kit looks awesome! Thank you! My favorite part of Christmas is the music. A lady at church sings `Mary, Did You Know` and it sounds so fantastic. I really love it. Thank you for the giveaway. I really enjoy hosting all of our immediate and extended family during the holidays! Many have moved to different parts of the country and return to celebrate Christmas. It is such a wonderful time to be together! My favorite part of the holidays is having my kids home for Christmas dinner. This year my youngest will be missing...she's working at Disney in Florida and won't be back in NJ until the first week in January. So, we'll have a second Christmas then! Love being with family and looking at all the Christmas light decorations. It gives off such a warm cozy feeling. I love visiting my grandkids at Christmas. Children make the season special. You sure are a cute little cowgirl! Beautiful quilts! Thank you for hosting this giveaway! I am a teacher, so I enjoy preparing all of the projects and lessons during December. Love the horse. Thank you for sharing the picture. I love the spirit of Christmas. Can't really explain it, but I love the magic of giving someone the perfect gift. I love thinking up something really fun to make for others too. You and your horse--how adorable! I love the music, the lights, the decorations and getting together with family and friends. I love your pictures! My favorite part of the season is getting together with family. I love everything about Christmas especially celebrating with friends and family.